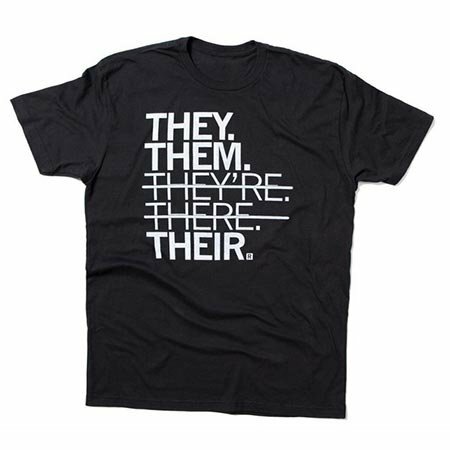 They, Them, Their. It's not that hard! White Screen Print on a Black T-shirt (100% Combed Ringspun Cotton). Classic cut, sizes small-3XL. 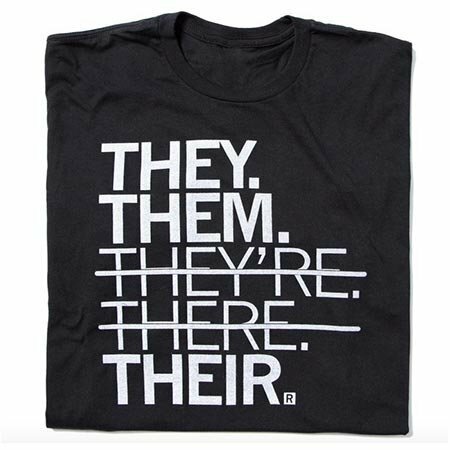 They, Them, Their. It's not that hard! White Screen Print on a Black T-shirt (100% Combed Ringspun Cotton). Sizes small-3XL.